So, what is Argentium Silver? Argentium silver 935 is a modern silver alloy. It contains 93.5% silver and 6.5% other metals. One of these metals in Sterling Silver is Copper, this is removed from Argentium Silver and metalloid germanium is added. Fine Silver is pure silver, 99.9% silver. Fine silver does not tarnish, but is soft and is not suitable for jewellery making in most cases. 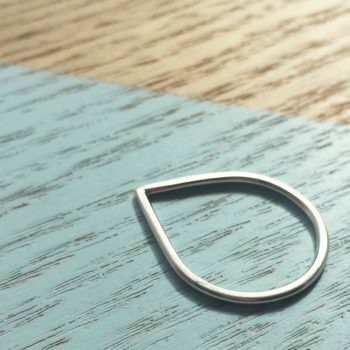 Sterling Silver is a silver alloy of 92.5% silver and 7.5% copper. Argentium’s unique formulation gives firestain resistance – this means that plating is not required. Argentium Silver has strength and durability and can be work hardened and heat-hardened. 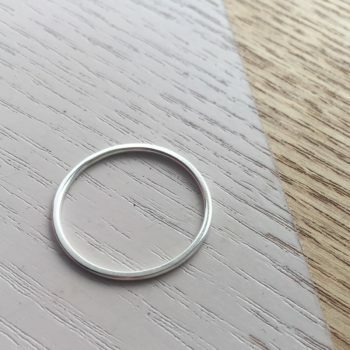 Argentium Silver has greater ductility than tradidtional Sterling making it an excellent choice for forming shapes, like rings. Argentium Silver was invented by Master Silversmith, Peter Johns at Middlesex University, London. His initial research concentrated on eliminating firestain in traditional Sterling silver, using the element Germanium. One of the most notable characteristics of Argentium silver is its brightness. Argentium Silver is rated as both brighter and whiter than even Sterling Silver according to CEILAB standard colour measurement system. It is even rated as a “whiter” metal than rhodium, which is used to give white gold its white colour. Who should wear Argentium Silver? Silver complements all skin types and is flattering to the skin, so can be worn by almost anyone. The great benefit of Argentium Silver is that it doesn’t tarnish – meaning no dirty jewellery or skin! It is also naturally nickle-free so no nasty allergies here! 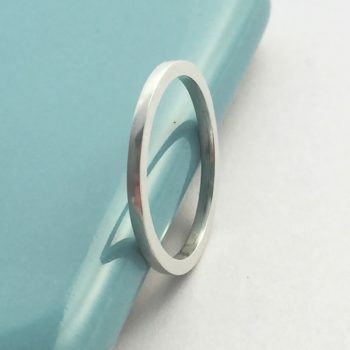 We have a lovely range of stacking rings for Men and Women! Argentium Silver is low maintenance, easy to care for and simple to keep clean. It rarely needs to be repolished. DO NOT use any jewellery cleaner that is for silver jewellery or gold jewellery. 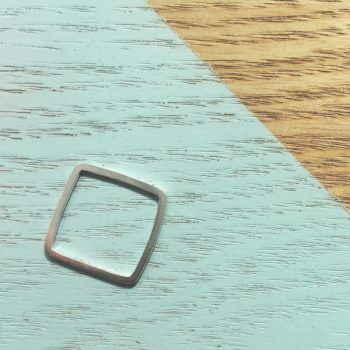 If you need to clean your Argentium Silver piece, you can also use warm water and facial soap to give your jewellery a quick clean at home and re-new the shine. Tap dry with a cotton cloth rather than letting the piece air-dry.